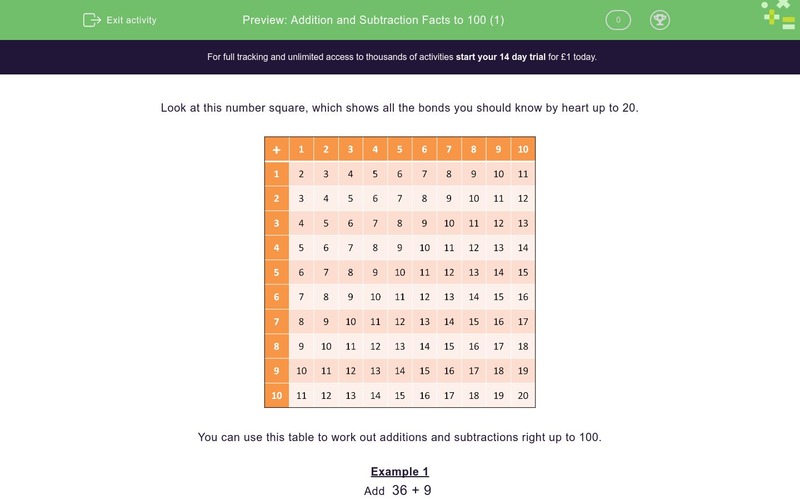 In this worksheet, students must know by heart their addition and subtraction number bonds to 20 and use them to derive related facts to 100. 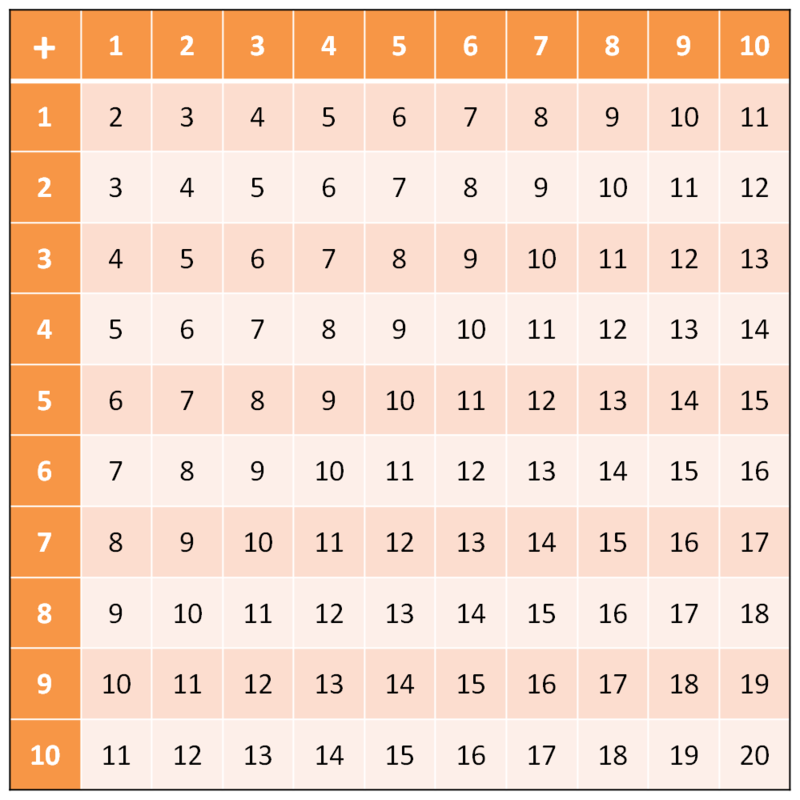 Look at this number square, which shows all the bonds you should know by heart up to 20. 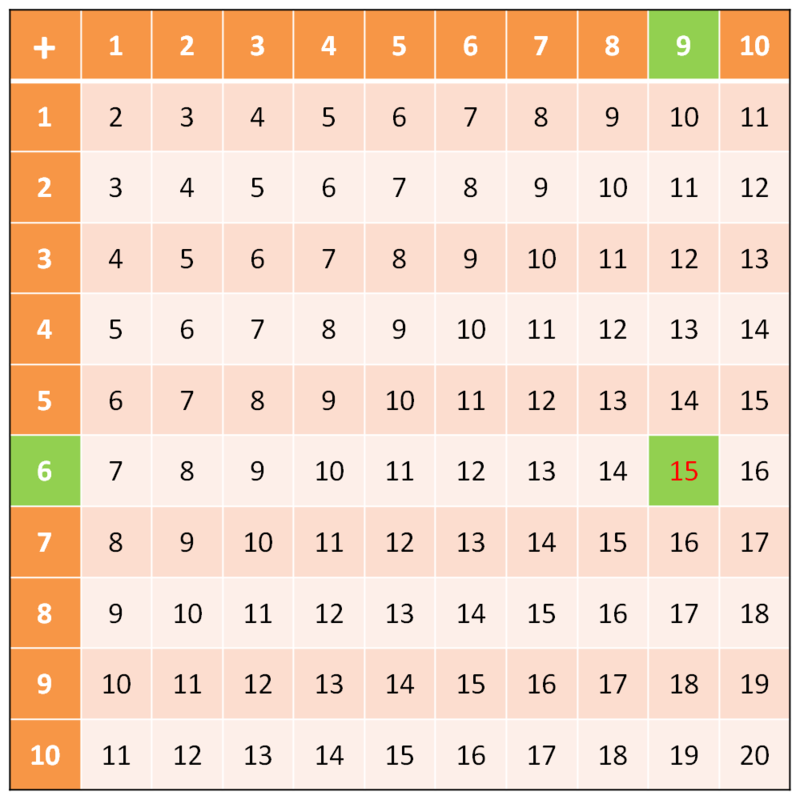 You can use this table to work out additions and subtractions right up to 100. We split 36 into 30 and 6. We split 25 into 10 and 15. When you subtract, the starting number is inside the square.